Went to Hardcastle Crags to meet up with the forest warden Drew and discuss what timber is coming available during Winter felling. Eventually settled on some Oak, Birch and Rowan from where they are being cleared to reveal the crags’ classic view more clearly. Took a couple of sample pieces as I’ve not worked in green Birch or Rowan before. Also discussed with Drew chainsaw mills: http://www.logosol.co.uk/_sawmills/bigmillsystem/bigmill_basic.php, may need one in due course when I get larger trees to deal with, but at the moment the smaller trees up to a foot diameter are fine for turnery. Back to Strid Woods and felled half a dozen thinnings – Sycamore and Beech, some quite decent stuff amongst them, as well as a couple of diseased ones. 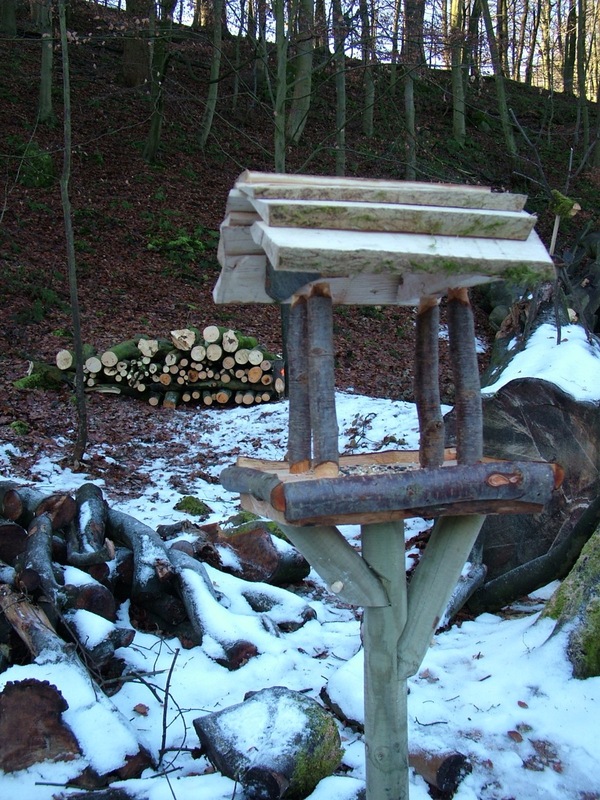 A green bird table - like it? This entry was posted in Green woodwork and tagged work done by Flying Shavings. Bookmark the permalink.